Do you watch TV One? This week, the network announced new episodes of Unsung Hollywood and Uncensored will premiere in October. New episodes of Unsung Hollywood premiere on TV One on October 7th at 9 p.m. ET/PT, followed by new episodes of Uncensored at 10 p.m. ET/PTb. 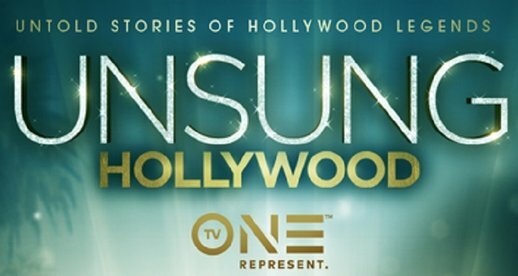 (SILVER SPRING, MD) – September 12, 2018 – TV One is set to premiere brand-new episodes of its original, critically-acclaimed auto-biographical series UNSUNG HOLLYWOOD and UNCENSORED, on Sunday, October 7 starting at 9 p.m. ET/8Cand 10 p.m. ET/9C, respectively. During its premiere season, UNCENSORED reached 3.5MM unique viewers and was a top 3 original cable series in its timeslot among AA P25-54, AA W25-54 and AA W18-49. The autobiographical series gives unprecedented access to stars of film, television, music, and pop culture, as they personally reveal their own stories, in their own words, in the places their stories unfolded. Raised on two coasts, Nick Cannon grew up balancing the gangs of San Diego with his father’s ministry in North Carolina. Eager to escape the risk of the streets, he recognized his call to entertainment at an early age and spoke his success quickly into existence. Embracing an early achieved bubblegum persona, he works behind the scenes creating opportunities and jobs for comedians and entertainers. His largest success is “Wild ‘n Out” for MTV and his influence and talent reaching much farther than he is given credit. What do you think? Have you seen Unsung Hollywood or Uncensored? Will you watch the new episodes? More about: TV One TV shows: canceled or renewed?, Uncensored, Uncensored: canceled or renewed?, Unsung Hollywood, Unsung Hollywood: canceled or renewed?